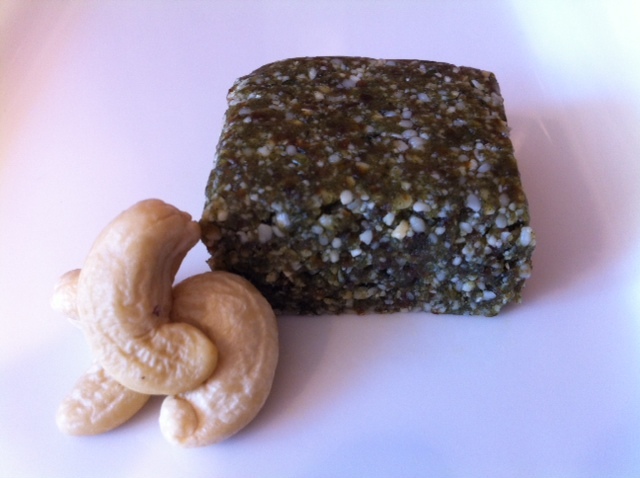 These raw, delicious energy bars taste better than they look and provide fast and sustained energy. They are chlorophyll-packed, nutrient-dense, easily digested and are quick and easy to prepare. Blend all ingredients except hemp hears together in a food processor. When desired consistency is reached, add hemp hearts and press pulse several times.